This week's Campus Conversations on Compassion with CCARE's undergraduate Roscow Fellows and Vineet Singall, Stanford Class of 2012. Singal was selected as 30 under 30 by Forbes Magazine. He is the Co-Founder and CEO of Anjna. Anjna is a nonprofit health technology company that focuses on utilizing mobile technology to improve health outcomes and reduce healthcare costs in low-income health settings. It has been profiled in the New York Times, Forbes, the Huffington Post, and conferences like TEDxTampaBay and Medicine 2.0. Singal was also the CEO of the 100KCheeks Campaign. The Campaign registered 115,198 new potential bone marrow donors in 18 months. Singal's work involved working with patients, companies and NGOs worldwide. It has been covered in Fast Company, AdAge, the Huffington Post and at conferences such as Medicine 2.0 and the INK Conference in Association with TED. This week's Campus Conversations on Compassion with CCARE's undergraduate Roscow Fellows and Maria Molfino. Molfino completed her BA in psychology at McGill University. She is now completing her Masters in the Learning, Design and Technology program at the Stanford School of Education. Molfino is a yoga teacher, and teaches stress management in YesPlus class at Stanford. 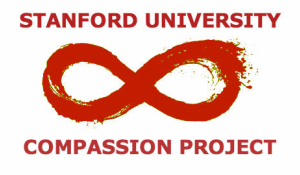 This week's Campus Conversations on Compassion with CCARE's undergraduate Roscow Fellows and Jared Naimark, Stanford Class of 2014. Naimark is the President of STAND, the anti-genocide group on Stanford's campus. He is also one of the leaders of the Environmental Justice (EJ) sub-group of Students for a Sustainable Stanford.